Many dental patients in and around Cincinnati hold the belief that orthodontists only change the look of your teeth. Consequently, they think that the only reason to find an orthodontist is if you are interested in cosmetic dentistry. 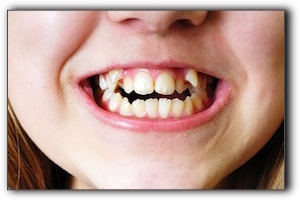 When uneven teeth begin to crowd together, it becomes difficult to make essential daily cleanings effective. And, when your teeth aren’t cleaned properly, problems with plaque build-up, cavities, and gum disease usually ensue. If you are curious if your teeth are crowding or if your bite is not aligned, then you need to visit your West Chester dentist. Your dentist can evaluate whether or not you need to see an orthodontist, and then recommend one near you. Also, if you feel that the appearance of your teeth is an issue, ask your dentist about a smile makeover. There are numerous cutting-edge cosmetic dentistry procedures performed daily. These include teeth whitening, veneers, dental implants, crowns, and more! Hello, my name is dentist Sanjeev Goel. My friendly local dental practice, West Chester Dental Group, is located at 5900 W Chester Rd Ste A in West Chester. I am committed to healthy, sensational smiles. We are currently accepting new patients, so if you are in or around Cincinnati, give us a call at 513-942-8181.